What’s the future of bank branches? In a world where online banking seems to offer almost anything clients might need, you may wonder if there’s any benefit to managing physical locations. John and Josh talk with Siya Vansia of ConnectOne Bank about the importance of investing in the in-branch experience. Listen to learn how your online offerings and in-branch customer service can work together to meet clients where they are—and grow your bank. 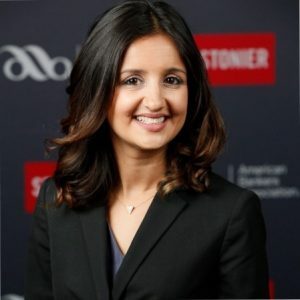 Siya Vansia is VP, Marketing at ConnectOne Bank (CNOB), a $5 billion institution with twenty-two branches throughout NJ and NY. The bank was founded in 2005 by civic and business leaders to serve local residents and businesses by providing the highest level of personalized community banking services. In her current role, Ms. Vansia is responsible for the marketing, branding and public image of the bank. In her time with ConnectOne, Siya has developed and managed the bank’s social media strategy and maintained its digital presence through its blog and numerous online channels. In 2013, she oversaw the rebrand of the company to ConnectOne Bank from its previous name, North Jersey Community Bank. In 2014, Ms. Vansia led the marketing efforts of ConnectOne’s merger with Union Center National Bank, rebranding 16 locations and expanding the ConnectOne name to a new marketplace. The merger positioned the company as a Premier Community Bank in the NJ/NY Metro Area with over $3 billion in assets. Aside from her marketing role, Ms. Vansia is also responsible for internal communication and assisting Senior Management with internal corporate culture initiatives. In 2012, she was instrumental in launch BUILD, an internal leadership program led by the company’s Chairman & CEO. Prior to her existing role. Ms. Vansia worked as the Executive Assistant to the CEO. Ms. Vansia holds a BA in Economics from Rutgers University.